The development objective of this programmatic activity is to deepen knowledge on and build capacity to develop practical approaches to strengthening forest governance through the creation of joint knowledge products between the Governance Global Practice (GGP) and the Program on Forests (PROFOR). This knowledge creation was a result of PROFOR’s Forest Governance Monitoring and Assessment: A Program of Dissemination, Learning and Implementation and seeks to leverage good governance principles and multi-sector approaches in the World Bank Group’s (WBG) forest administration and management portfolio. Forest governance is critical to the sustainable and equitable management of forests and landscapes and to enabling poverty reduction and shared prosperity through thoughtful stewardship and use of forest resources. Resource mismanagement, illegal logging, and endemic corruption and bribery pose daunting challenges to forest-rich countries (Sundström 2016, Kishor and Damania 2007). 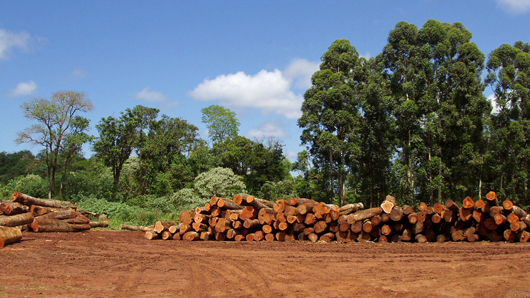 Illegal and illicit logging is estimated to cost developing countries approximately US$5 billion per year in lost timber revenues (Haken 2011; Goncalves et al. 2012), while also marginalizing resource-dependent communities. Improving forest governance–through strengthening institutional capacity, clarifying policy and legal frameworks, promoting transparency and accountability, and ensuring stakeholder and private sector participation—is a central tenet of the World Bank’s forest strategy and a cross-cutting theme of its Forest Action Plan (FAP) for FY2016-2020. This builds on the foundational work of the Program on Forests (PROFOR) to develop a common framework of principles and criteria for assessing and monitoring forest governance, which has been used as a tool for diagnosing problems, identifying priority reforms and tracking progress of reform efforts across several countries. In line with the principles of the framework and lessons learned from WBG forestry operations, the FAP identifies areas of forest governance where the WBG has a comparative advantage and can further support client countries in advancing on this agenda, including: improving the policy and regulatory framework; strengthening institutions and implementation of policies; enhancing monitoring systems; and supporting mobilization and management of public resources for forestry. The challenge is now ensuring that the WBG has the requisite knowledge, operational tools and capabilities to effectively deliver on these priorities. Based on consultations with governance and forestry operational staff to identify areas in which closer integration of forestry and governance work would generate increased environmental and economic benefits for national governments and forest-dependent communities, this program will provide advisory services and analytics (ASA) work and project implementation support under seven pillars. Pillar 1 - Community-based Forestry Management: This pillar aims to further understand how and why Community Forest Management (CFM) succeeds or fails to fully deliver on its potential. This calls for a systematic study of the actual ways CFM is practiced on the ground, with the aim of better understanding the nature of the problems it raises, the kinds of solutions that have locally been experimented with and/or and successfully applied, and the conditions for their possible generalization. Pillar 2: Financial Management and Governance of Forest Funds: The pillar aims to strengthen knowledge and practical guidance, based on greater cross-country understanding of challenges and successful experiences, to design and implement financial management and governance arrangements of national forest funds. Pillar 3: Civil Service Reform: The accountability, motivation, and skills of forest management staff and agencies are key to ensuring that forest resources are effectively administered and monitored. This pillar seeks to diagnose the main personnel-related challenges to effective forest governance, and to identify reforms to improve organizational and human resource management that can be implemented through new and on-going WBG-funded forestry lending operations. Pillar 4: Public Expenditure Reviews and Domestic Resource Mobilization: This pillar will focus on the design of fiscal regimes in the forestry sector and the ways in which forest revenues are collected, accounted for, and reported. Pillar 5: Smart Regulation for Better Markets and Private Sector Participation: This pillar will focus on regulatory management issues related to private sector participation in forestry, and, in particular, how tools to improve regulatory predictability, effectiveness and quality used successfully in other sectors can also be applied to sustainable forestry. Pillar 6: Country Programs: This pillar is designed to support and complement the preceding 6 pillars by supporting demand-led country efforts to improve governance in forest and related sectors. Activities and expected outputs will include a mixture of research, knowledge creation, dissemination and skills-enhancement. Drawing from available evidence, country case studies and WBG operational experiences, activities will aim to identify common challenges, lessons learned and good practices at the country level and across countries, with a focus on the sequence of reforms, managing implementation, and shaping efforts to align with relevant and related complementary reforms. Findings will be shared as practical guidance and recommendations for WBG-funded operations as well as through knowledge exchange events. To the extent possible, the research will chart a course for future work by identifying areas in which closer integration of forestry and regulatory governance tools would generate increased benefits for national governments, the private sector and forest-dependent communities, and by establishing links to ongoing or pipeline WBG operations. Through Pillar 6, the GGP-PROFOR Partnership will also create mechanisms for engagement at the country and global levels. Pillar 7: Knowledge Management and Exchange: This pillar will focus on promoting the knowledge generated through the other pillars. The distinct pillars were purposefully designed to lend the governance lens to specific issue areas within forest governance where there is growing client demand. The program will generate evidence-based knowledge products while also providing technical support to ongoing operations to generate new tools, approaches and solutions to persistent challenges in forest governance.